I love bears. I think I am attracted to all sorts of cute, kawaii animal things since having a baby. Thus, I made boot cuffs. With bear faces on them. Because, why not? This simple crochet pattern uses worsted weight yarn and a 4.0mm crochet hook. You can download it here! 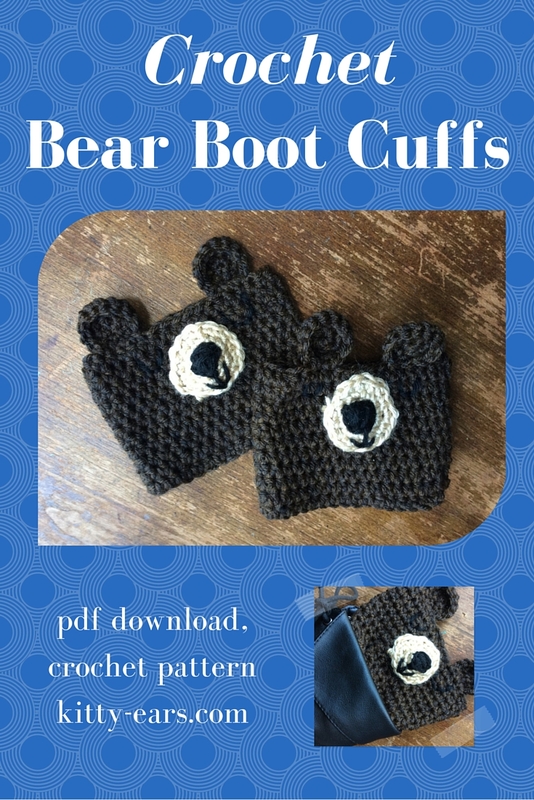 Would you ever wear these bear boot cuffs? I would!